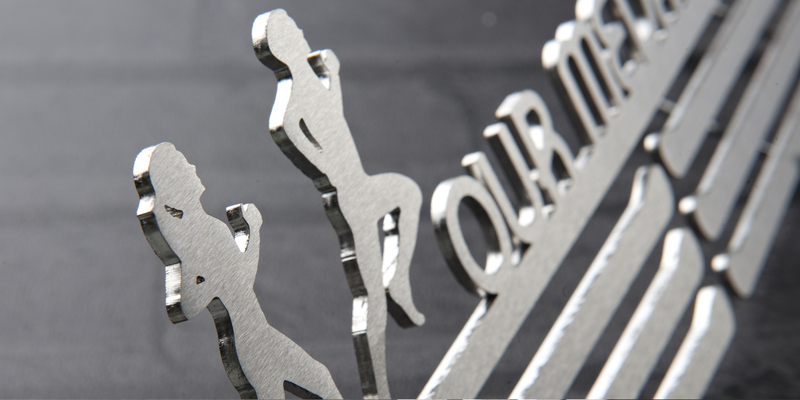 Sometimes we run alone, sometimes we run with others. 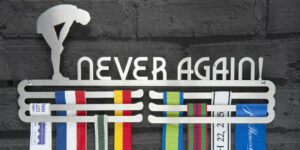 Sometimes we race alone, sometimes we race with others and sometimes we race against each other! The ‘Our Medals’ medal display hanger is the ideal way to share and hang medals for all of the family. 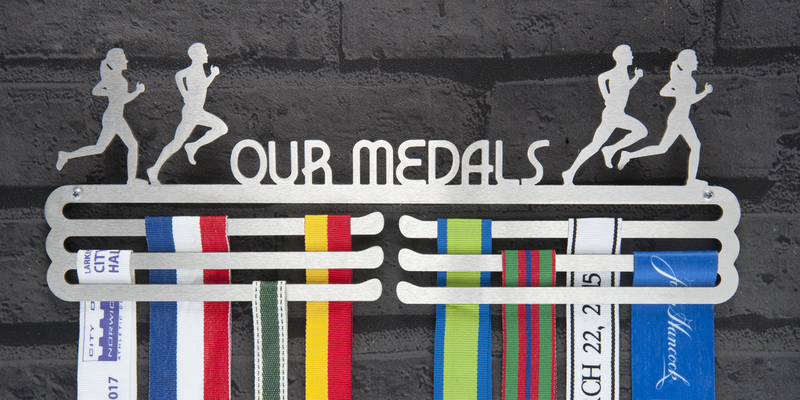 Your own medals can motivate you to run but seeing the medals from others may just spur you to achieve more. 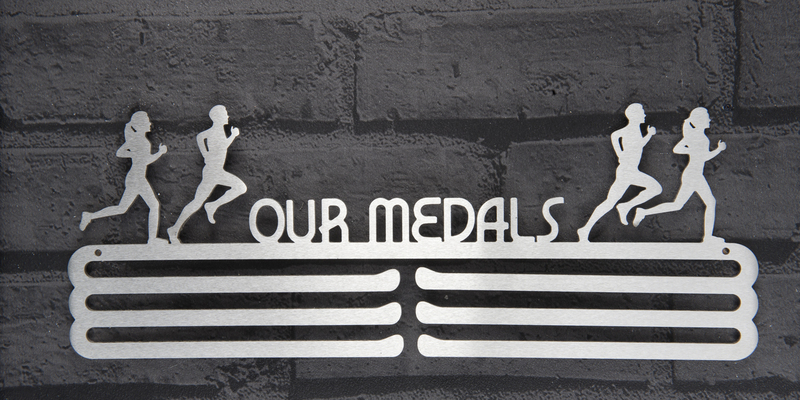 Whether you are crossing the finish line holding hands or making a lung-bursting effort to beat your partner, the ‘Our Medals’ display will provide a perfect reminder of your races for you all. 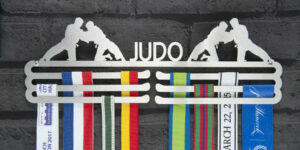 Reference: OUR MEDALS MULTI TIER. 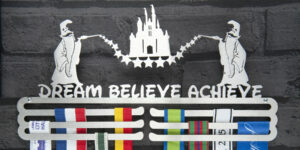 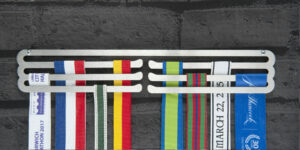 Displays 30-36 medals depending on ribbon width. 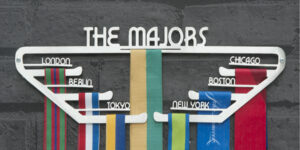 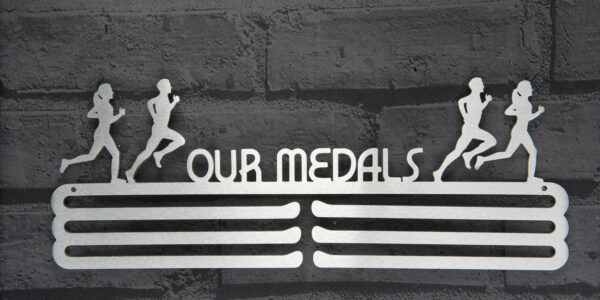 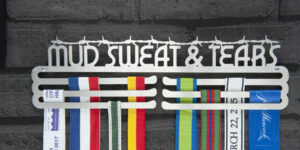 Ideal medal display hanger for your families medals.